Victoria Falls on the border between Zimbabwe and Zambia has some of the most breath taking views you'll ever encounter on the African continent, if not the world. The massive sheet of falling water and the spray it produces is mesmerizing to say the least. The nearby Victoria Falls National Park and the towns of Victoria Falls and Livingstone offer additional pleasures to the discerning visitor. The Victoria Falls is one of the most popular attractions in Southern Africa, where you can explore the African wilderness as Dr. Livingstone did so many years ago. Getting to and from Victoria Falls is a breeze as the Victoria Falls Airport accommodates flights from Johannesburg, Windhoek, Harare and Bulawayo. There are plans to expand the runway to accommodate bigger planes, which in turn could mean direct flights from overseas destinations such as Europe and the Americas. There is decent transfer services usually arranged by the lodges and your journey should be safe and sound. The Victoria Falls has many features that will keep you entertained and amused. The Devil's Pool, on the Zambian side is one of the craziest things you can ever do. On the very edge of the Victoria Falls there is a rock wall that creates a pool that you can swim in when the current isn't too strong. You can peak over to the 108 meter drop just below the edge. Its as amazing as its nerve wrecking. The Victoria Falls and the spray it produces sustains a ecosystem that supports many animals and plants. Dubbed as one of the 7 Natural Wonders of the World along with Mount Everest and the Great Barrier Reef, it's one of those places you have to see before you die. Despite Zimbabwe's economic and political climate, the falls are popular throughout the year. There have been great efforts to promote and market the Victoria Falls as a tourist destination, and an incident free trip is almost guaranteed due to the economic value the falls poses. 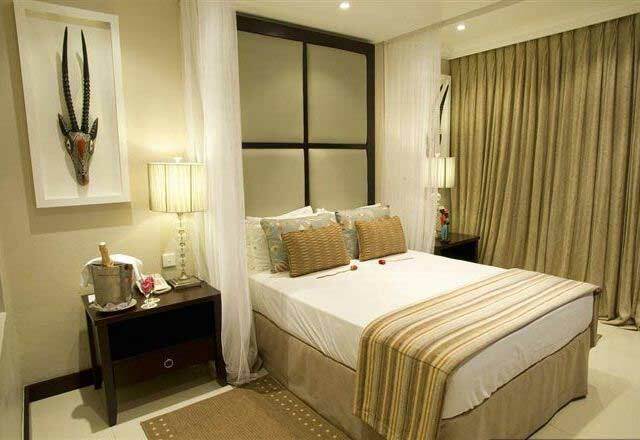 Facilities in and around are up to standard, and although it's still Africa, you needn't worry about a thing. 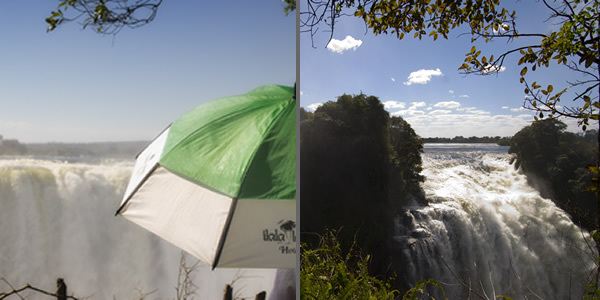 The Victoria Falls, being on the mighty Zambezi River, offer the visitor the following things to do. White river Rafting, Bungee Jumping, Fishing, Swimming, Guided Walks, Skydiving, Game Drives, River Boarding, Walks with Lions, Hot Air Balloons, Sun Downer Cruises on the Zambezi, Scuba Diving, Kayaking and Abseiling to name a few. This more than what you can squeeze into a weekend and planning is essential if you make the most of your experience. Victoria Falls are surely the most beautiful of the world's seven natural wonders. About 1200km below its source, between Zambia and Zimbabwe, the Zambezi River plunges in to a basalt chasm that is 1708m wide and 103m deep, this is the larges waterfall on earth and marks the point where the middle Zambezi river starts. 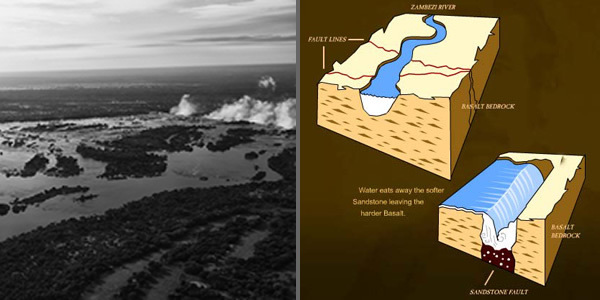 The Victoria Falls began forming where the Zambezi River crosses a series or east to west sandstone faults. The sandstone in the faults is softer than the surrounding basal bedrock and the water is able to erode it faster. The water eventually finds a weaker spot and eats back into itself until finding the next fault. All 83 fully serviced rooms enjoy en-suite facilities, with air-conditioning, in-room tea and coffee-making facilities, direct-dial telephone and satellite TV.